Thirteen years ago, Islamic terrorists turned commercial airline jets into weapons of terror. It was a wake-up call for almost all Americans. There were, however, some people in strategic places that were prepared. One of those people was Rick Rescorla. Today is September 10, 2008. Seven years ago, it was the day before. We were all going about our business, enjoying a beautiful fall, and making plans for the future. 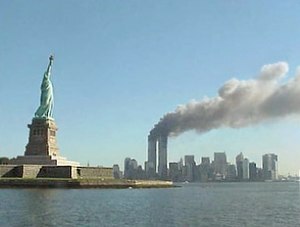 I wonder, if we could have seen into the future, is there anything we would have done differently that day. Most of the information in the above two paragraphs is from the book BREAKDOWN by Bill Gertz (subtitled “How America’s Intelligence Failures Led to September 11″). I have a friend who waited for a phone call that never came. Today we remember her daughter, Susan Blair, and all the Americans who were killed on September 11, 2001.